Black coffee, espresso, latte, cappuccino, crema, white coffee and so much more. Coffee comes by so many names that it’s sometimes hard to know what you’re getting. To help clarify some coffee terms, we take on two popular coffee drinks head to head: latte vs. cappuccino. Chances are you’ve heard of these names being called out when people order in the coffee shop. Now, we demystify them for you so that you can order one for yourself if you think you like what’s in them. Below, we compare the two coffees and explain each one. 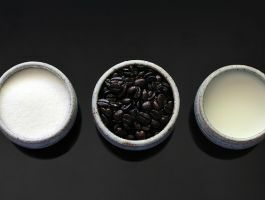 We go through the ingredients needed to create each of the coffees and show you how you can make perfect lattes or cappuccinos at home as well. In explaining the difference between latte and cappuccino, we go through the steps as well as include videos on how to make each one at home. Feel free to follow the videos so you can enjoy your own lattes and cappuccinos any time you want. Espresso and milk are the primary ingredients found in a cappuccino. The espresso gets an addition of hot milk and then topped off with a layer of specially prepared milk foam. It is the consistency of the milk foam and the unique physical characteristics of espresso that have created the modern day cappuccino. Below is a video that shows you how cappuccino is made. We’ve intentionally included a video that doesn’t use an espresso machine because a lot of readers wanted to know how to make cappuccino without having to buy an espresso machine. The video above does use a stovetop espresso maker which is much cheaper than the entire machine. Plus you get to fully control the brewing process manually. Now we move on over to the latte. Affectionately known as the caffe latte, this traditional drink is usually a simple combination of cappuccino and steamed milk. So in essence, lattes are based off of cappuccinos. Though the drink is a relatively new addition to international palates, this highly caffeinated drink has maintained an esteemed reputation in many parts of Europe for over three-hundred years. The serving size and a slightly higher ratio of espresso to milk separates the latte from a traditional cappuccino. To get a better idea of how a latte is made, here’s an instructional video showing each of the steps in making a perfect caffe latte. You can follow these steps and enjoy your own homemade lattes so you won’t need to run to the coffee shop the next time you want one. From the videos you can see that the two drinks are very similar yet there are some small differences. Those differences result in varying flavor and texture profiles. 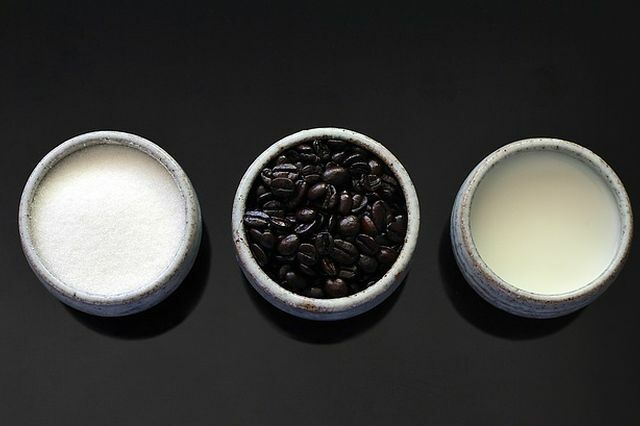 In order to appreciate the differences between a latte and a cappuccino, it is important to know a little about their primary ingredient, espresso. Espresso is a form of specially brewed coffee created when boiling water is passed over finely ground coffee beans. Placed under high pressure and temperature, the result is a highly concentrated syrup-like form of traditional coffee. The quickest way to do this is by using an espresso maker, which does most of the tasks automatically depending on the type of machine you get. Here’s a video on how espresso is made. 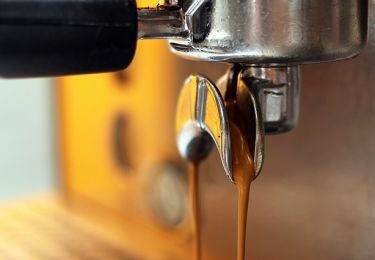 Alongside heavily concentrated flavors and a creamy top portion, espressos contain particles left over from the brewing process; creating a specialized spin on traditionally brewed coffee and adding to its nutritional value. When compared to other forms of coffee, espresso was found to contain much higher levels of essential nutrients. Magnesium, niacin and riboflavin were found in much higher quantities within espresso than its counterparts. Magnesium is crucial to cell health and also promotes a healthy heart. Niacin and riboflavin are essential B-Vitamins. While niacin has been shown to help regulate cholesterol levels, riboflavin acts as a coenzyme and is essential to proper protein synthesis. When drinking either a latte or a cappuccino, it is important to realize that both drinks contain a large amount of dairy. This comes in the form of milk, and the frothed milk. Anyone who is lactose intolerant will likely experience gastrointestinal distress. While the addition of milk adds a small amount of protein to a drink normally devoid of essential amino acids, it is generally only suitable for those who can process lactase. Do note that if you’re making your own latte or cappuccino at home, you can easily substitute cow’s milk, which is what’s traditionally used with these drinks. Instead you can use milks that don’t contain lactose, like almond milk or soy milk. They’ll give you a different flavor profile, but you won’t have to worry about the effects of lactose from ruining your day. Coffee, by its very nature, is high in caffeine. Espresso is a highly concentrated form of coffee and the drinks derived from it are also very high in caffeine. Acting as a central nervous system stimulant, large doses of caffeine can exasperate anxiety, increase blood pressure and temporarily induce insomnia. 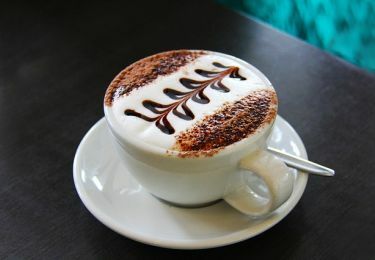 It should be noted, however, that caffeine has been shown to reduce symptoms of depression and increase metabolic rate. Moderation is the key and limiting the intake of high caffeine drinks will ensure that maximum health benefits are attained. By tradition, a latte or a cappuccino is consumed early in the morning. To provide the maximum amount of energy boost and to minimize any effects on the Circadian Rhythm. Do not consume highly caffeinated beverages too close to bedtime. Otherwise, you’ll have problems falling asleep.